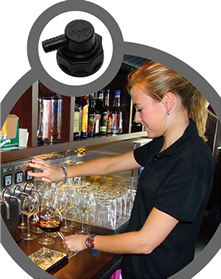 The number one solution to serving wine quickly and easily using a wine dispensing system is Twistop Wine System®. This convenient system offers attractive advantages compared to other systems, such as the saving of space, no leakage and a lower price per litre! Twistop Wine System® is fast, efficient and very easy to use. Twistop Wine System® consists of a special Bag-in-Box with a so-called dip strip which ensures that the bag can be completely emptied. 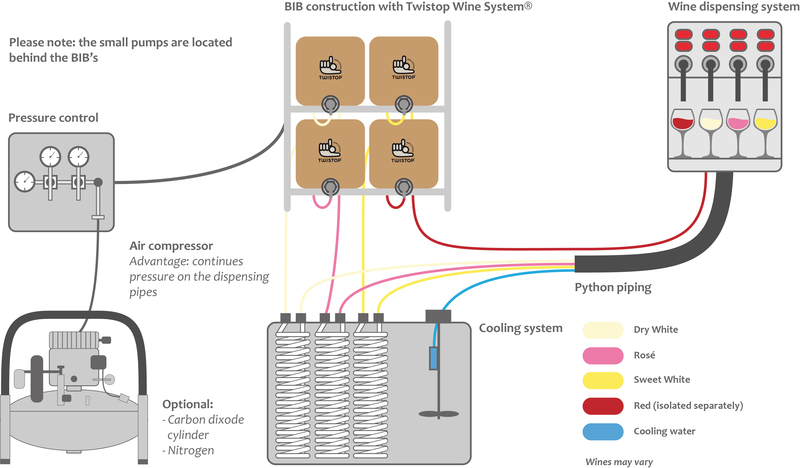 Twistop Wine System® can be connected to a wine dispensing system with the L-Connector or it can be used separately with the Draw-off Tap.